The Udder Side has been one of my favorite farm blogs since I stumbled onto it years ago. 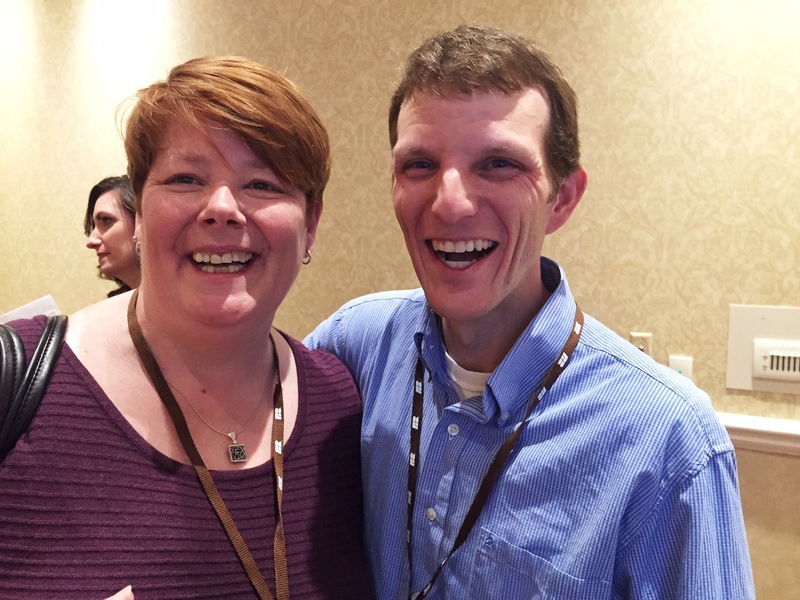 I know, there are so many awesome blogs… how could I possibly have favorites? Well, The Udder Side is a little warped and that is definitely something I enjoy. I mean what other farm blog is actually written by secret agent cows? Sure the cows write about their farmer — Ryan Bright who I FINALLY met while in Nashville for work earlier this year. But they are cows…. picture them pounding out a blog post with hooves on the keyboard or getting Siri to convert moos to text! And see? You already are with me! Just like that, The Udder Side stands out for you too! Ryan is someone that I have traded messages with online for an incredibly long time. Since we were both in Tennessee we felt a bit of a kinship, even though we were on opposite ends of the long state! If our bother being fro the Volunteer State isn’t enough, Ryan shares a love of cotton! His favorite shirt ol’ blue even led him to tell a tale of the fabric of our lives! My great-great-grandfather was the first one here and I want to be a part of the tradition of life on our land. One of the best things about our farm is that I get to work alongside my father and uncle. Everything important I’ve ever learned in life was probably told to me by one of them. My wife and three kids are the best part of my life. I once heard that you’re not really parenting until you’re outnumbered. The third child proves that statement right to me. And of course the kids are proud to be called farm kids. Everyday (Everyday!) we milk our hundred cows in the early morning hours and in the afternoon. The rest of the day we’re feeding, planting, harvesting, and inevitably repairing. Life on our farm is never boring and that is why I’d like to share it one blog post at a time. I can taste success! 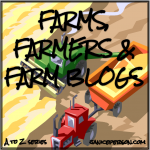 Granted there are still several letters left but the end of the Farms, Farmers and Farm Blogs in this A to Z is on the horizon… it is within sight!